It being a gloomy day in Miraflores, I decided to take a trip into Lima and perhaps visit Chinatown, which I have been thinking about doing for a few days now. I decide to go via the Metropolitano transport system and soon found myself back in the sock shop which I had been so thankful to find a few weeks ago. You can’t have too many socks. Surprisingly, the owner of the shop remembered me from my previous visit and we chatted for 15 or 20 minutes about the various qualities of socks and then about my intended travels in Perú. She told me she was from Cuzco and offered me some advice for my forthcoming visit there. Local knowledge. I then asked her about getting to Chinatown from the Central Station. She advised me of the best place to get a bus from, suggesting I went via a micro – a small and usually packed, minibus. I said I would prefer to walk and she said that would not be a good idea, as it could be a bit dangerous. She is not the first person to warn me about avoiding certain areas but the warnings are normally to stay away from them at night. Local knowledge. Well, not always one to heed advice and starting to regain my old confidence (perhaps over confident), I thought I would walk to Chinatown anyway. After all, if things looked a bit iffy, I could always back track. The thing is, when things did look iffy , I just got more curious. I thought, “what a beautiful building this must have been”. Sadly its state of decay is no doubt due to a lack of money. My curiosity did not have to take me too far into the neighbourhood before I discovered that it was not just the buildings that needed money. As I went around the next corner, I encountered a group of men just “hanging out”, I guess, for want of a better description. I avoided eye contact, so as not to provoke any reaction. However, one of the men detached himself from the group and approached me. 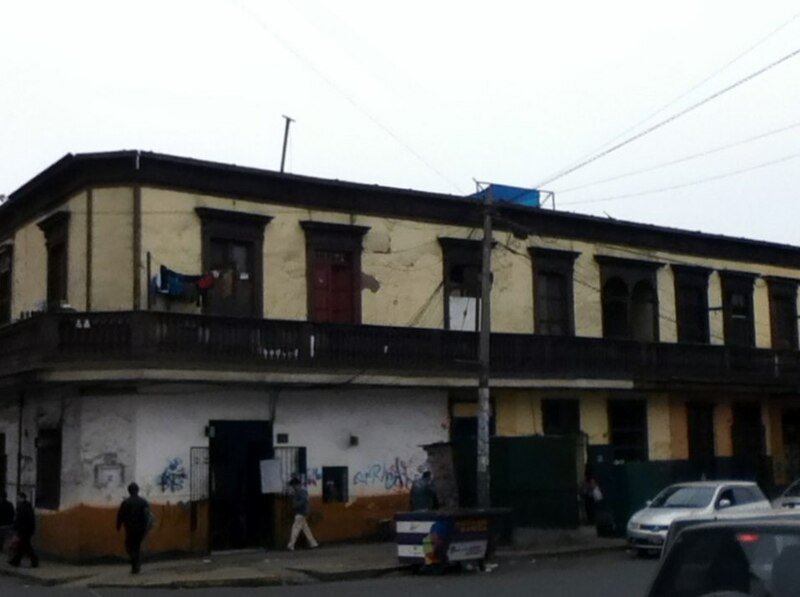 Unlike any of my previous encounters here, in Lima, I felt exposed and vulnerable. No humour here. The plus side to this is, no matter what I was feeling on the inside, on the outside I was calm, no drama here either. My pace did not alter, my direction did not change and as he demanded money from me, I just kept saying “no entiendo”, (I don´t understand). As it happened, I understood only to well and he was in my face for a good 50 meters. At first demanding and then, as we got further from his friends, begging, as he said he had no work and no money. This was begging with attitude. Eventually, he relented, realising he was getting nowhere. I was thinking how glad I was it was not dark and how I should have listened to local knowledge. I never did get to Chinatown. I´ll go there soon, by bus. This entry was posted in Recent Activity and tagged Chinatown, Lima, local knowledge, Miraflores District Lima, Peru, South America, state of decay. Bookmark the permalink. you should always listen to advice.